Snakes of Avalon is a dark comedy point & click adventure game about alcoholic incapacitation and people obsessed with murdering their other half. It mixes the style and atmosphere of Hitchcock suspense films with a surreal game world inspired by the best cult trippy movies. The drinking man's point & click adventure game is finally available and filled with all the suspense and hallucinations you could ever ask for! 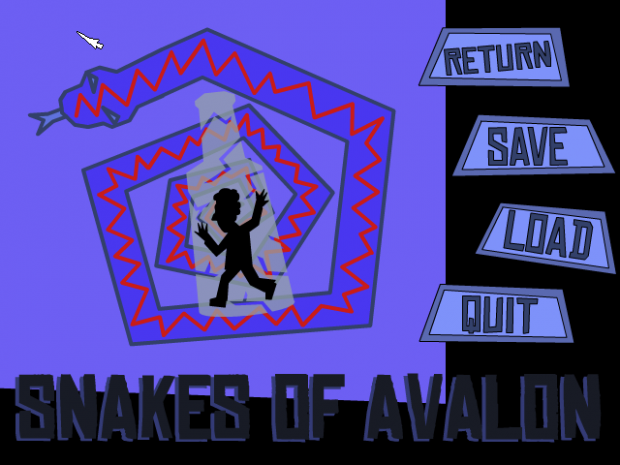 Snakes of Avalon - the drinking man's point & click adventure game is finally available and filled with all the suspense and hallucinations you could ever ask for! Created by veteran adventure game developer Alex van der Wijst (Winter Rose, Charlie Foxtrot), Igor Hardy and the award-winning composer Thomas Regin (Blackwell Convergence, Emerald City Confidential) this unique title focuses on comedy and clever story-telling and for this purpose brings together the styles of Alfred Hitchcock films and Naked Lunch. It even shamelessly rips off Citizen Kane in hopes of achieving true gaming greatness. Absolutely loved the surrealism of this lovely point-and-clicker. Indeed. Got some nice atmosphere. I like the simplicity of the animations!